The vacuum drying method was applied after the dewatering with pigs. The considerable volume of 102.000 m3 was evacuated down to 0,03 mbar(a) [29,905 in Hg (V)], which corresponds to the Dew Point of -32°C [-25.6°F] in 6 days only. 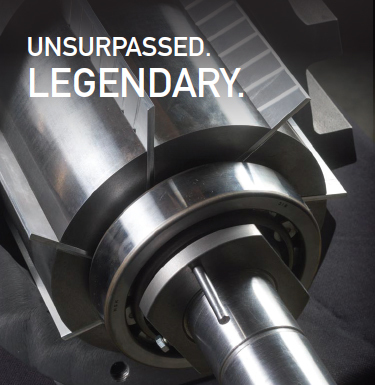 Four double stage vacuum systems with variable-speed-driven roots pumps as second stage (each 3000 m3/h [1770 cfm] capacity) and two standard double stage systems (each 2500 m3/h [1473 cfm] capacity) for the total maximal flow of 17000 m3/h [10020 cfm] were installed for the vacuum drying process. 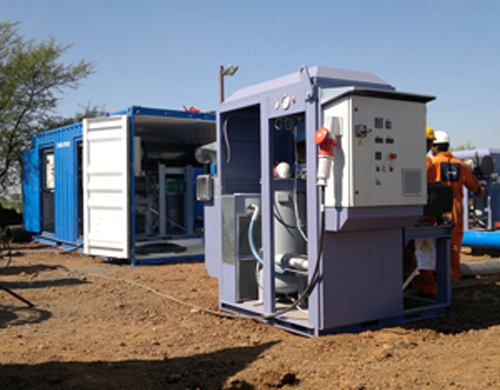 Some vacuum units were installed in 20 feet container, others simply placed on the unpaved ground. All vacuum pumps were protected with inlet filters and connected to the central manifold. 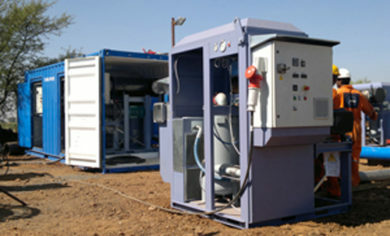 When the pumps are not operated within a protecting container, heavier and special sturdy skid mounted units are usually used. But in this case, the transportation, which is the most dangerous matter, was safe within the containers. 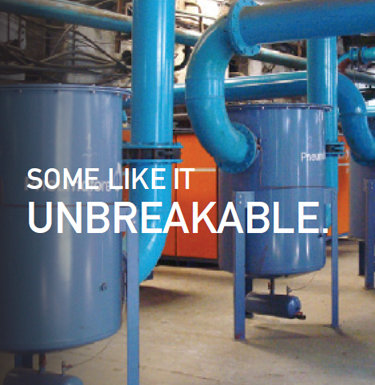 The special features of the Pneumofore vacuum system are the capability to evacuate water vapor, to be ready-to-use, completely air cooled and with unique efficiency. This solution was chosen due to the large volume in the pipeline, which had to be evacuated down to 0,03 mbar(a) [29,905 in Hg (V)] for the Dew Point of -32°C [-25.6°F]. The drying with this dedicated vacuum system was economically far more convenient than the previous drying technique with nitrogen. 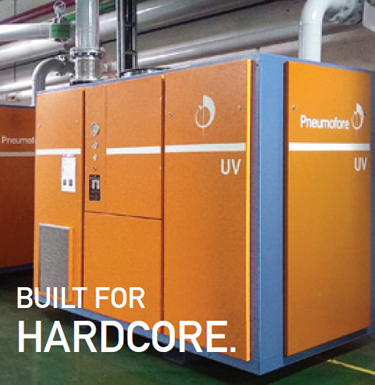 The vacuum drying has been promoted by theory since decades, only in the last years the technology of pumps evolved to guarantee good results in water vapor suction capability. The total water vapor quantity, that the here described vacuum system fleet can evacuate, is 400 kg/h, because one UV16 H can handle more than 66 kg/h. 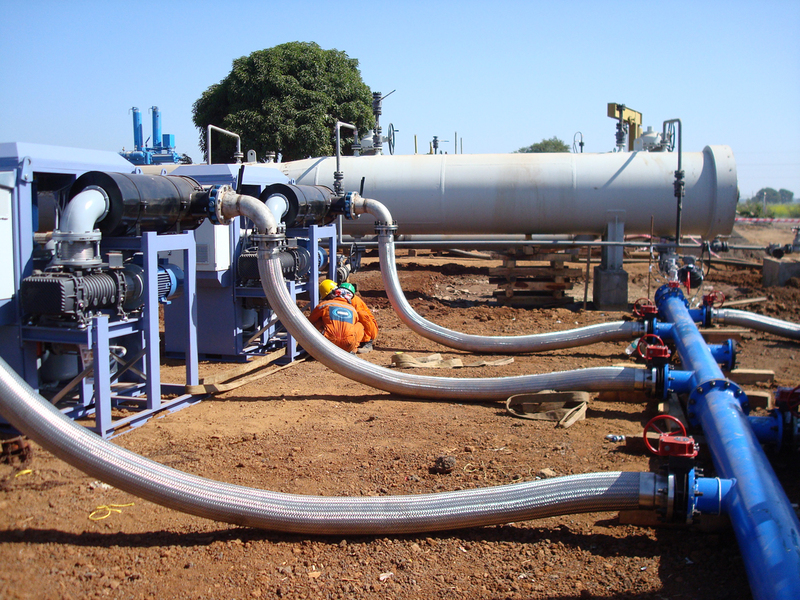 The pipeline drying follows the dewatering process, which is executed with ‘pigs’ pushed by compressed air at the speed of 2 km/h [1.25 mph]. Nowadays the pigs collect also data about the internal geometry of the pipeline, like constant diameter or oval shape, reduction in thickness and more. During the commissioning, the Pneumofore engineers instructed the local team about the vacuum pumps operation and maintenance. The routine operations on the vacuum systems, as well as the periodic checks, are fast and simple. The air cooling was particularly appreciated due to the critical availability of cold water for cooling purpose. 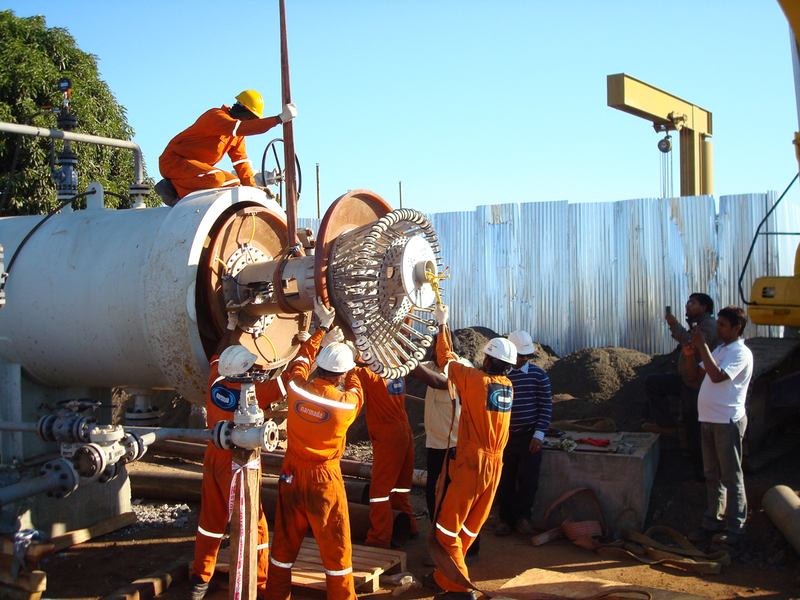 With a record of 5000 km [3100 miles] tested cross country and offshore pipelines, our customer Narmada Offshore Constructions is a major Indian player, offering a wide range of pipeline services, including cleaning, hydro-testing, dewatering, drying and pre-commissioning.